MASTER MASATOSHI NAKAYAMA. By Gerry Grey. INJURIES CLINIC: LEARNING HOW TO COPE. By Chris Norris. VIDEO REVIEW: SHOTOKAN KATA VOL 2. Mick Dewey. STAN SCHMIDT'S DOJO (SOUTH AFRICA). By Sean Ablott. CLUB PROFILE. ASHFORD & DISTRICT SHOTOKAN KARATE CLUB. SHOTOKAN IN THE STREET. By Ronni Coldwell. PRIVATE LESSONS. By John Cheetham. BREAKING - Part Two (The Makiwara and Gyaku zuki). By Jim Edwards. SHOTOKAN FIGHTERS, COMPETITIONS & COURSE REPORTS. The three months between issues seems to be getting shorter and I'm getting more and more requests to make the magazine Bi-monthly instead of Quarterly. I have also even been asked to publish the magazine monthly. Very flattering but not at all possible. 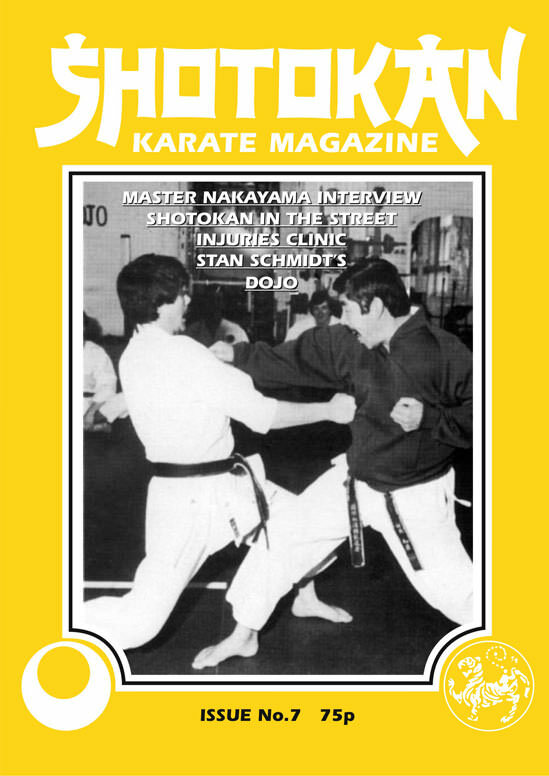 Shotokan Karate Magazine is as you all know, a very specialised magazine which is for Shotokan stylists only, although quite a lot of other people buy the magazine. We will have to stay with the quarterly format for a while at least. The competition season is now underway and may I wish all Shotokan competitors good luck in their events. 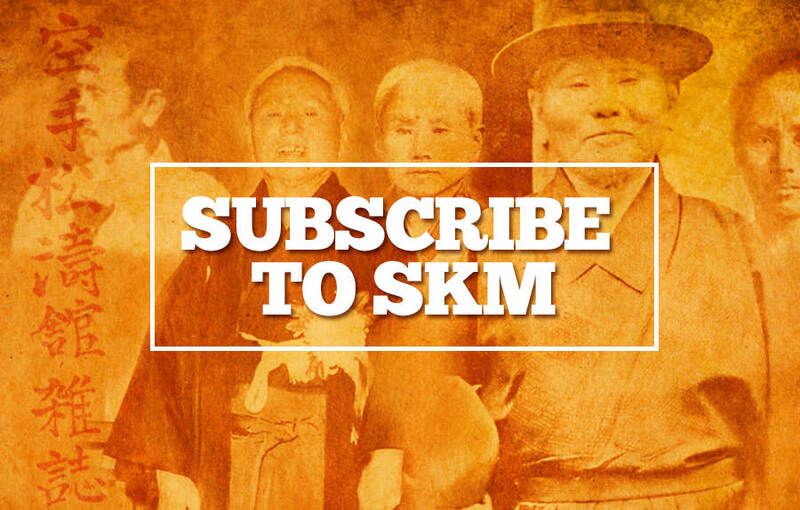 I hope you all enjoy the articles in this edition of SKM. I won't do the usual magazine editorial and tell you what's in it, but it certainly features many Shotokan groups and not just the big names and well known associations like the KUGB or SKI etc., everyone has a chance in this magazine. We may be biased towards Shotokan karate but not to any particular group. I have seen many Shotokan instructors over the period of producing the magazine and there are some excellent people out there who get no publicity whatsoever, but nonetheless are first class teachers of our style. I'll get round to them eventually.